Our Sales & Marketing, Finance, and Technology "Top Dogs" gathered at Topgolf for our first combined peer executive education program. Topics ranged from strategy and planning to talent and execution. 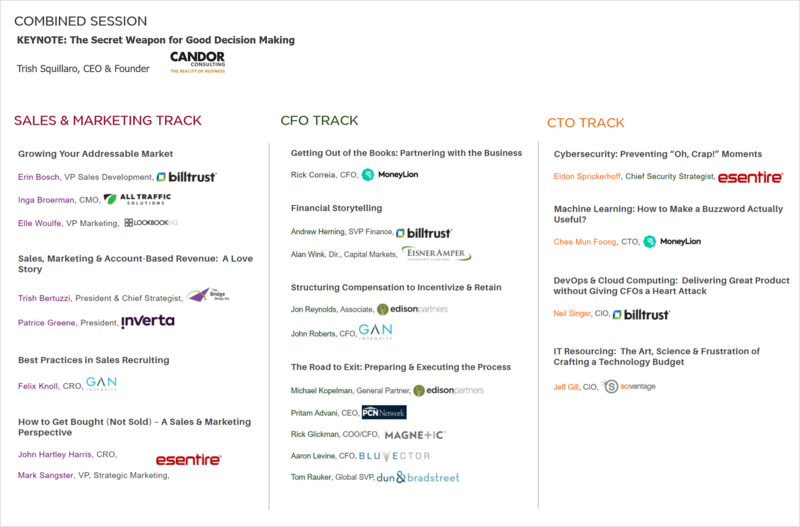 Presenting portfolio companies included All Traffic Solutions, BillTrust, LookBookHQ, eSentire, GAN Integrity, MoneyLion, Scivantage, and Magnetic, and special guest speakers, Tish Squillaro of Candor Consulting, Trish Bertuzzi of The Bridge Group and Patrice Green of Inverta.